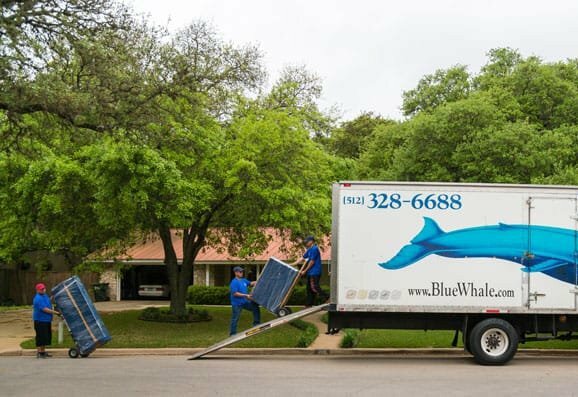 Blue Whale Moving Company, established in 1988, continues to be the premier moving company choice for the Austin area. For more than three decades, our team of talented moving professionals has gained the trust of the residents of the area through their dedication to providing excellent and reliable service. Our team of moving professionals handles every client request carefully and is able to assist in every part of the move, from the early moving plans to unpacking the last box. 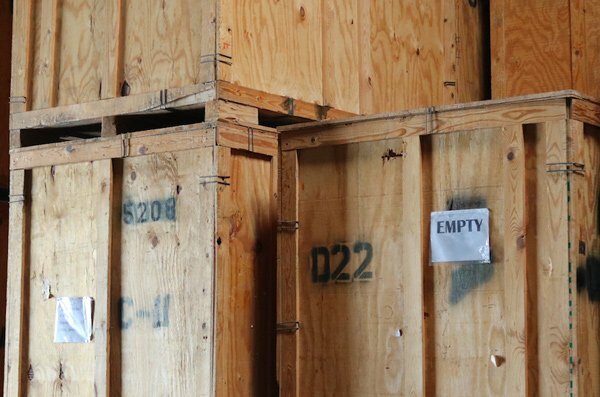 Our full-service process includes the physical move itself, the careful storage of items, and the delicate packing and unpacking of your valuables and household items. We are proud to have our movers in Round Rock, TX. The process of moving to a new home brings a unique set of challenges along with it. You must take care of moving every valuable item to your new place, and deal with other matters such as financial paperwork, your family, the trip itself, etc. 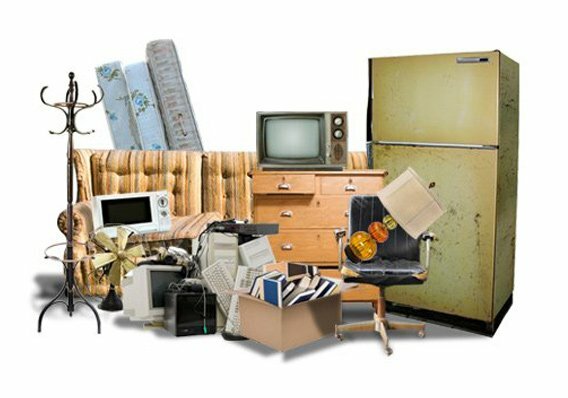 At Blue Whale, we can help you ease your burdens by assisting with the relocation of your valuables. Our Round Rock movers can safely handle and transport your belongings to any residence or apartment in the area with ease. We tailor our customized service to your specific items, locations, and other specialized needs for the move. Our full-service moving company doesn’t just cover local moves in the Round Rock area, but also long-distance travels that include the rest of Texas and the lower 48 states. Whether you need to move to another city or to another state, our team is ready to provide the same efficient, personalized, and consistent service they offer at a local level. Long distance moves are already a stressful experience for you to handle. Let us help you take care of a large part of the process while you focus on the remaining aspects of the relocation. 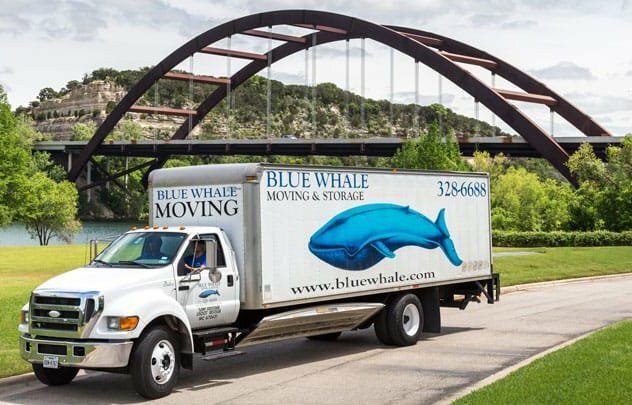 Let blue whale be your Round Rock mover! Did your move suddenly hit a snag? Were there any issues that delayed your travel to your new place? There’s no need to worry. Here at Blue Whale, we not only take care of short-term storage, but also have long-term storage of your valuables, for any reason. Our 23,000 square foot climate-stabilized facility possesses high-tech security that functions 24 hours a day, seven days a week. The facility also protects your items from the elements or temperature fluctuations and has secure vaults that range in size from small to large. With a 48-hour notification, we can retrieve your items and get them set up for delivery to you as quickly as possible. The packing and unpacking of your possessions can be a time-consuming task that can take you away from other important aspects of your moving process. As part of our full-service business model, we can pack and unpack your items. Our team members are experts in handling items with precision and delicacy, from packing to transfer and unpacking. Whether you are carrying delicate decorations or heavy machinery and equipment, we’ll always have a solution for your packaging issues. Ask for the packing and unpacking service to let us assist in making your relocation an easier experience. Blue Whale Moving Company has everything that makes it the Round Rock moving company of choice. From efficient, professional moving services that extend to the entire country, to dependable storage services that keep items safe, and our expert packing service, we will handle every step of the moving process. If you want a stress free moving experience, contact us today and fill in a free online moving quote.